I don’t generally like brawlers, but I do like Dragon’s Crown. 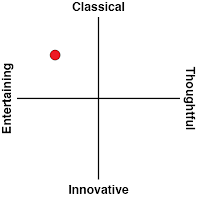 In fact, I've ended up enjoying it a whole lot more than I thought I would. Back when I reviewed it on the PlayStation 3, I called it a "bit of multiplayer fun," but not much more. I'm glad I've had the chance to go back to it and review it again, because this is a game that I've played irregularly ever since. 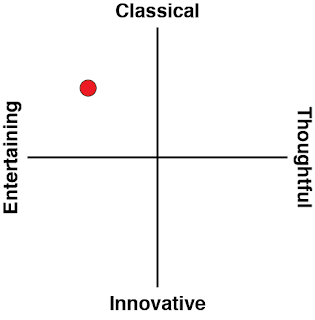 Clearly, I've enjoyed it a whole lot more than I thought based on my first play through (and review). So here goes my review of Dragon's Crown Pro, and something of a correction to my original review of the game. First released back in 2013 for PlayStation 3 and PlayStation Vita, Dragon’s Crown managed to catch a great deal of attention for its commitment to the Dungeons & Dragons aesthetic of old. While the game obviously eschewed the dice rolling and turn based combat of the Dungeons & Dragons pen-and-paper game, it nonetheless adopted the tone of a Dungeon Master describing scenes to you (the players) when outlining quests, just like in the pen-and-paper game, and the game made excellent use of art that could have been pulled directly from an 80’s era Dungeons & Dragons game manual. The result was remarkably authentic, but also not without controversy, as that self-same art drew a significant amount of criticism from some quarters for being rather exploitative towards women. Chainmail bikinis and all. Which is indeed how the art was presented in those old Dungeons & Dragons manuals of the 80s, but in the decades since the producers of Dungeons & Dragons has significantly modernised its approach to art, and you could make the argument that Dragon’s Crown could have done the same. Unfortunately that discussion dominated a great deal of the interest in the original Dragon’s Crown, and while most people agreed that it was an excellent game, that discussion also added a sour note to the game. Now Dragon’s Crown Pro has landed on the PlayStation 4 as an enhanced “HD” remaster of the original. Hopefully the game doesn’t get mired in the same controversies this time around, because it really is a stand-out example of the genre. But first, what’s actually new to this version of the game. Not much, sadly. You can now play Dragon’s Crown in 4K resolution, which is nice, but hardly something critical for a game that is still perfectly gorgeous on the low resolution of the PlayStation Vita. I know I’ve talked about this quite a lot over the years, but I really wish people would better understand that it’s the art direction that matters. I understand that for “realistic” military shooters and the like the higher resolutions tend to lend the game an additional cinematic quality, and therefore do enhance the experience, but for something like Dragon’s Crown, with its stunning, gorgeous, abstract approach to art, it isn’t actually made any prettier in 4K. A better feature is that cross play and save file shares have been introduced across all platforms. As someone who has put away his PlayStation 3 (R.I.P little buddy), I’ve actually been encouraged to start playing Dragon’s Crown again on my Vita, knowing that when I get back home I can pick things back up on the PS4 version. 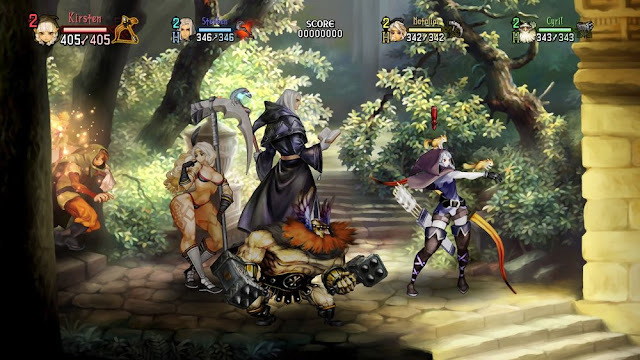 As a really neat touch, it’s possible to interact with people who still haven’t upgraded to the PlayStation 4 too, and while the PS3 is most definitely legacy hardware now, it’s good of the developer, Vanillaware, to help enable friends to come together to play this game regardless of their hardware. Dragon’s Crown is very much a game designed to bring people together. Up to four people can go questing together, and with six different character classes to choose between, each with their own unique skills and abilities, Dragon Crown can get wonderfully manic. Especially the boss battles. Bosses can be incredibly challenging and real damage sinks, and the typical boss also has other threats – environmental hazards or minions – to make things even worse for players. So, on the fly, teams need to be able to split their attention between the boss and the other threats, while keeping an eye out to protect anyone on their team from getting into trouble. This, of course, is common enough for multiplayer focused games (such as MMOs, which just love throwing four different things to do at once at parties in boss battles), but it’s done so well in Dragon’s Crown, and with such precision and style, that you’ll come out the other end feeling like you’ve really achieved something of note. 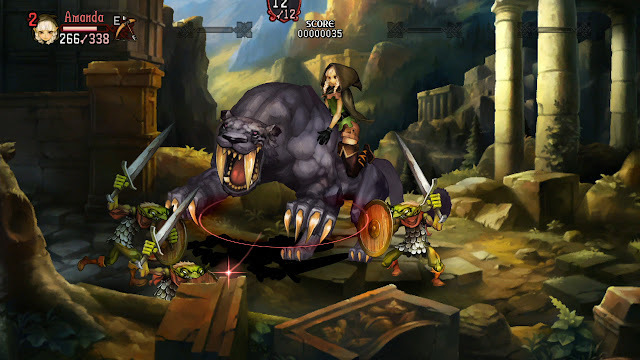 There’s also a great sense of exploration in Dragon’s Crown, which you would never imagine going into a brawler. As per the “real” Dungeons & Dragons experience, the world is filled with secrets, hidden rooms, and additional challenges that really encourage players to scour every part of the environment as they battle through it. The game is by no means non-linear, but as anyone who has played Dungeons & Dragons knows, finding a hidden treasure room, a short cut, or working around a dead end are all critical parts of the experience. The action does occasionally get a bit too manic, though. Dragon’s Crown can be difficult to follow when the action heats up and the fireworks erupt. More than a few times over the years that I’ve been playing this game I’ve managed to lose sight of my character completely in the whirl of activity, and the 4K resolution doesn’t resolve that. The issue is that the game is zoomed so closely into the action that you can find yourself caught in a detail overload, and as spectacular as the explosions of colour and activity are, against bosses that loss of visibility can be crippling. I personally got around that on focusing on a rogue character with her ranged specialty, but full respect has to go to anyone who manages to master the melee classes. The choices of enemies and designs are unparalleled, too. To again go back to the Dungeons & Dragons comparison, the enemies that you experience as a low level adventurer, and the way they scale in terms of how imposing or impressive they are, is exactly in line with what you’d expect from a Dungeons & Dragons campaign. Enemies made of twigs, goblins, and wyverns (otherwise known as the dragon-like enemies you throw at low level players so they can have the excitement of a dragon experience before they’re ready to face an actual dragon), slowly transition to creatures with far more bulk or terrifying visages. As with everything in the game, the monster designs are vividly detailed, the animation is stunning, and every single encounter is in some way memorable. Dragon’s Crown also feels a bit lonely in single player. You’re not alone in that you can drag three AI companions along for the ride (and they’re actually helpful, to boot), but this game was built around encouraging banter and hijinks, and bantering with an AI companion is just not as much fun (it would also mean that you're talking to yourself, which is odd). With that being said, the game still has its excellent approach to storytelling, and a really satisfying loot system, and I wasn’t exactly aching for something else to play when I was only able to play this solo. It’s disappointing that, five years on, there wasn’t some effort at enhancing Dragon’s Crown in a meaningful way for the PlayStation 4. It really is little more than a direct port of a really wonderful game, with only the most superficial of enhancements. That being said, Dragon’s Crown Pro is a direct port of a really wonderful game, and it’s still the most sublime, brilliant fun, and it only gets better the more people you share it with.